Yes, it’s a kid movie, but it’s supposed to be. It’s the perfect, upbeat monster movie for the little ones. The line has awesome characters like vampires, werewolves, ghouls, ghosts, gargoyles and many more I can’t even label. So much awesome! I wish I was still young enough to play with these, it would be a bit creepy if I did so now. Creepy and highly dysfunctional. Adulthood is lame! Anyone here picking the new DVD up for themselves or their kiddies? 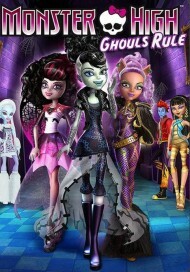 Who here is a Monster High fan?